We all have good intentions for our days, right? We are super-women, hear us roar! The list of things to do stretches halfway across the ocean, but our hopes are high and our resolve is solid. Well, at least tomorrow we will be. Tomorrow. Tomorrow things will be better than today was. But then tomorrow rolls around and suddenly it’s today. It’s just that today isn’t starting out so great. By the looks of your attitude and your hair, clearly the wrong side of the bed rolled you up and spit you out. Not to mention that you’re already running late when you haven’t even started. Hitting the snooze button 5 times in a row was a bad idea… again. Then as you finally rush down to the kitchen to throw on a pot of coffee, you realize that you forgot to grab a new bag of coffee yesterday and now there is no coffee. That list of stuff that you said you’d get done today… yeah, it’s seeming less and less likely to actually happen. Especially now that you’re decaffeinated. Suddenly your super-woman roar turns into more of a groan of exasperation. So how can we transform our insane mornings into the most productive part of our days? Great question! Let’s continue our look at the Excellent Wife and see how she runs her mornings. While this is a short verse, there is a lot to be understood about how the Excellent Wife’s morning routine sets her up for success. Let’s dig in. 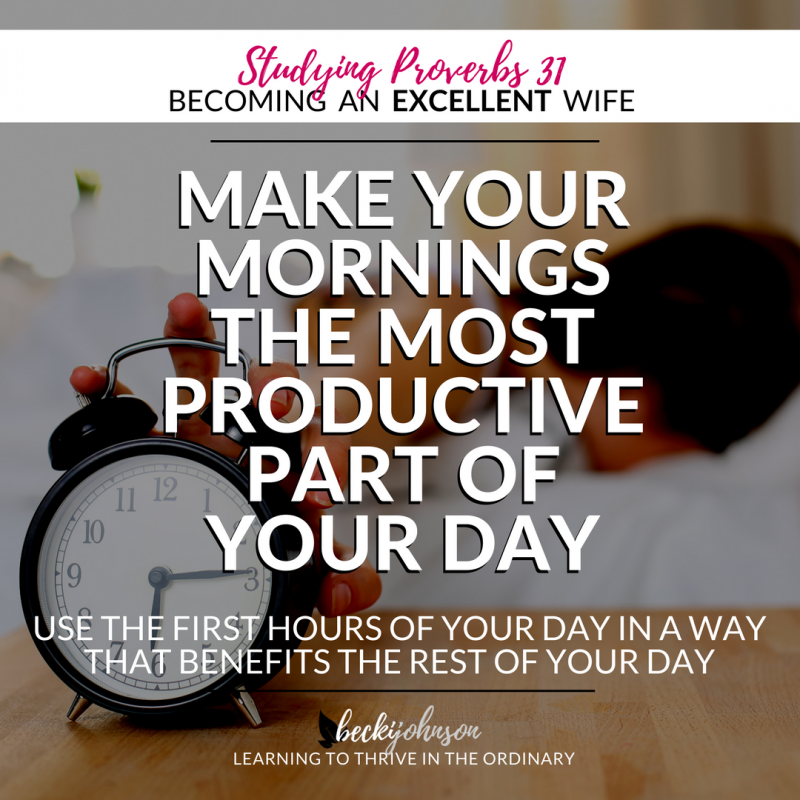 One of the first things that we see here is that the Excellent Wife “rises while it is yet night.” This doesn’t mean that she has to get up at 2am to get her day going. This means she’s up before the sun is peering through her windows in the morning. She’s not sleeping in until 10am. The Excellent Wife has stuff to do, so she’s up to get it done. I think this is pretty self-explanatory. We can’t lay in the bed all morning – we’ve got to get up and get moving. 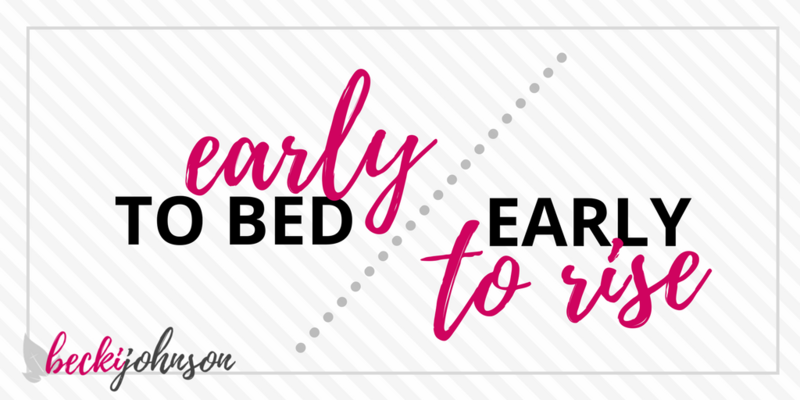 Now, if you’ve developed a habit of sleeping in, getting up early is going to take some getting used to. Every ounce of your body is going to fight you on this. But with some persistence, determination, and discipline, you can do it. If sleeping in late has become a habit for you, here are some tips to help you get up and get moving. ✽ Prepare for your morning the night before. Lay out your clothes, shoes, jewelry… whatever you will be wearing the next day. Then go ahead and put them wherever you plan to get ready in the morning. ✽ Put your alarm on the other side of the room. If you have to physically get up and walk to turn it off, you greatly improve your chances of staying upright. ✽ Turn off the electronics in the evening. No phone, no computer, no tablet, no television. Plenty of research has shown the negative impact that staring at these screens has on our ability to sleep at night. So set yourself a “tech bedtime” and turn it all off. ✽ Go to sleep on time. This may seem obvious, but apparently we don’t get it. We can’t stay up until midnight (or later) and expect to wake up willingly before the sun rises. Get some discipline and Go.To.Bed. ✽ Don’t look at your phone in the middle of the night. Again… this may sound like an obvious suggestion, but we have become so addicted to our tech, that if we wake up in the middle of the night or we are having trouble sleeping, most of us immediately pick up the phone and start scrolling. This is only training our brains how to behave at night. We are literally teaching our brains, “At 2 am, wake up because I have to look at Facebook.” Then we wonder why we wake up throughout the night. The second thing we see here is that the Excellent Wife “provides food for her household.” This literally means she begins preparation for the day’s meals. Now preparing meals during biblical times was a lot different than it is for us today. Today we have crockpots for slow cooking and instant pots for fast cooking. We have peelers and openers and spiralizers and kitchen gadgets galore to help us in our meal prep. While providing food for our household isn’t as big of a chore as it once would have been, it is still a chore that we have to be prepared to do. For us today, this preparation looks a little different. The key to ensuring you start off on the right foot in the morning concerning your meals for the day is having a plan in place. Now this doesn’t have to be super-specific, but when you know that your kids are going to wake up and want cereal for breakfast, you’ll know that you need both cereal and milk. I typically try to have a meal plan ready for my week. This means that in the morning, I can get up and know what I need to do to prepare those meals. So if something needs pulled out of the freezer, or put into the slow cooker, or picked up from the store, I know this early on in the day. This one small thing can be transformational in the stress that happens around meal time. So understanding the actual Hebrew word here helps us to see what the Excellent Wife may have done. She would have given clear instructions to her servants. But in order to give clear instructions while having appropriate expectations, the Excellent Wife would have needed to know two things (1) What needs to be done, and (2) What is realistically achievable? The majority of us don’t have servants (although, I’m on the lookout for someone willing to work for unlimited laughs. I’ve got lots of those to give!) So what does that mean for the rest of us… those of us who don’t have servants? Well, to be honest, if we want to be extra prepared for our day, we still need to know the two things that the Excellent Wife needed to know in order to give her servants proper instructions. Knowing the answer to these two questions helps us arrange our actions throughout the day accordingly. We won’t be running around taking care of stuff that doesn’t really need our attention. We won’t be quite so forgetful about the things that absolutely need taken care of. We won’t feel unprepared for what’s coming. We won’t feel overworked or overwhelmed. 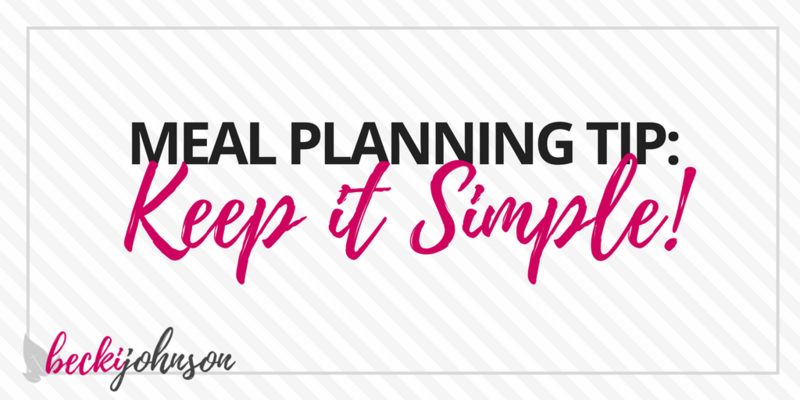 I challenge you to plan out your day…. every single moment. From the time you wake up until the time you go to sleep. When will you do your household chores? When will you begin dinner preparations? Work? Kids’ sporting events? Church? Prayer & Bible time? Be realistic about the time the tasks of your day take, and where possible, ask for help. You have a lot to do. But you don’t have to do it all alone and you don’t have to do it all at once. By making sure we know what needs to be done at the beginning of our day, we will be setting ourselves up for success. We will be making the most of our morning so that we are tackling the day instead of allowing the day to tackle us. Do you want to maximize your growth as an excellent wife? Download this FREE 21-Page Journal to support you as you grow. As you become more like the Excellent Wife, you will recognize the importance of starting your day on the right foot. 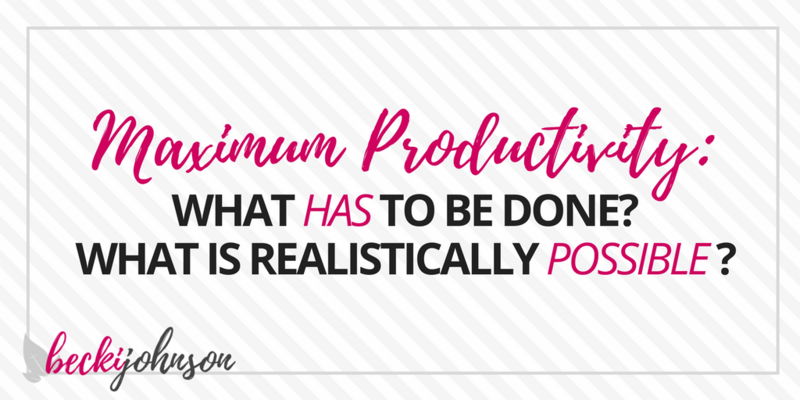 By getting up early and setting up your actions and your household to function like a well-oiled machine, you’ll ensure that you are prepared for whatever life may have for you that day. 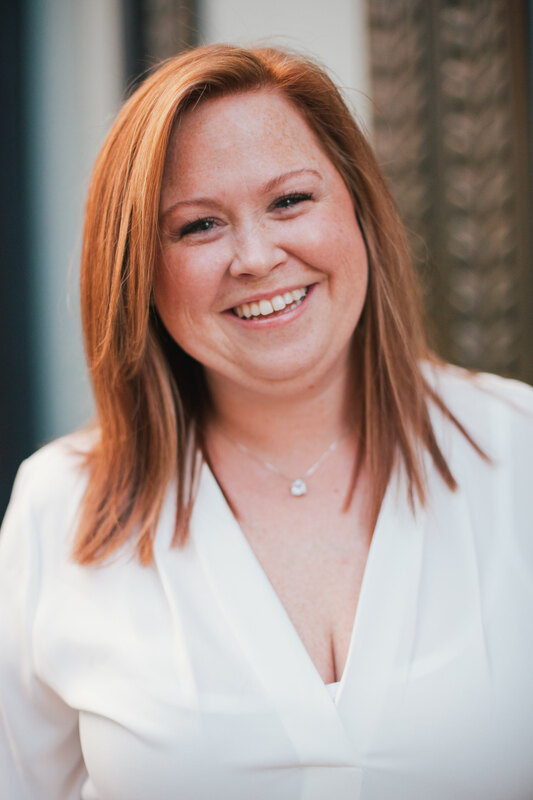 That feeling of being prepared is enough to give you the internal peace and confidence that you will need in order to serve your husband, your children, and whoever else God puts in your path… with a cheerful heart. ✽ What is one thing you try to do each morning to set your day up for success? ✽ What would you like to start doing that would help you run your day instead of allowing your day to run you? Love it! It is wise! I At one time I had to finish a book and I put my alarm two hours earlier every day to do the work and you know what? I did it. It is one of my children books. Zoe and mr. Tom.